From the curriculum: “interfaces for data exchange with the services of a third party”. Analyze a Json object – use this (or a similar) site. What is my user id on Instagram? 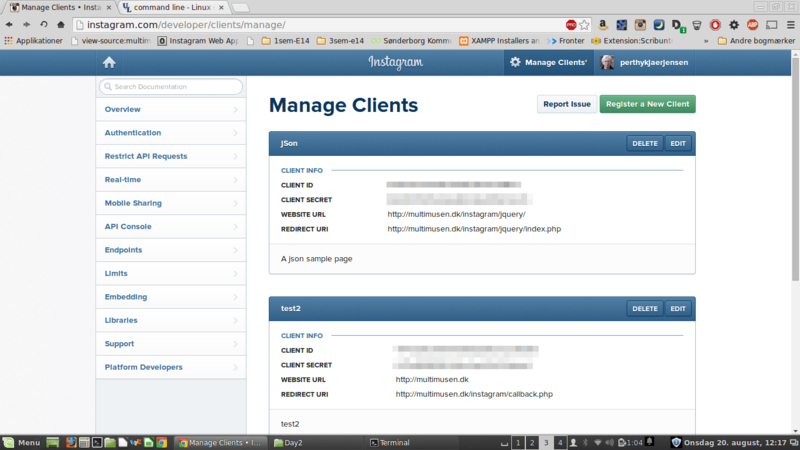 The Instagram API is just one of manu APIs. They all work in a similar manner. When you know how to use one, the steps towards using another is not that difficult. Instagram Developer – here you register. Now you’re ready. With these informations you can begin to use the Instagram API. This will give you an error: https://api.instagram.com/v1/media/popular (because there is no token. The result of the last query is a json object. For a “quick and dirty” query this may be enough. 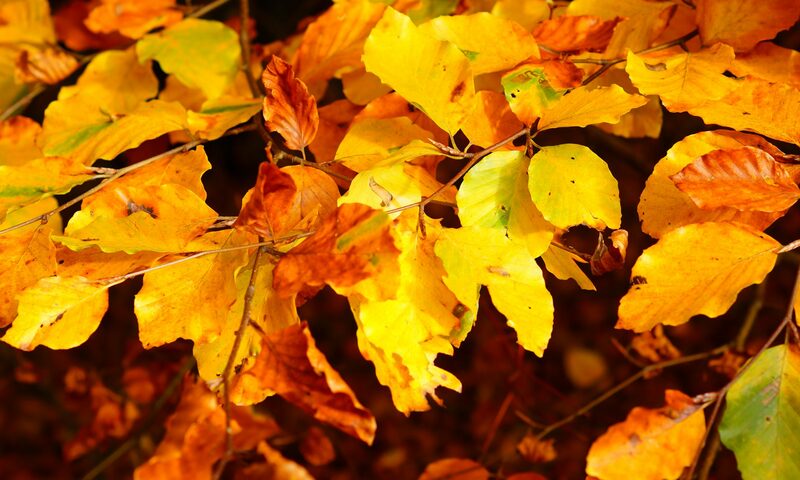 If you want a specific number of images you may use &count=21. For more advanced queries you need to format the url. Here you can use the API console. The API console will help to format a relevant url. Tip: the iframe is annoying. Try to click view in full. 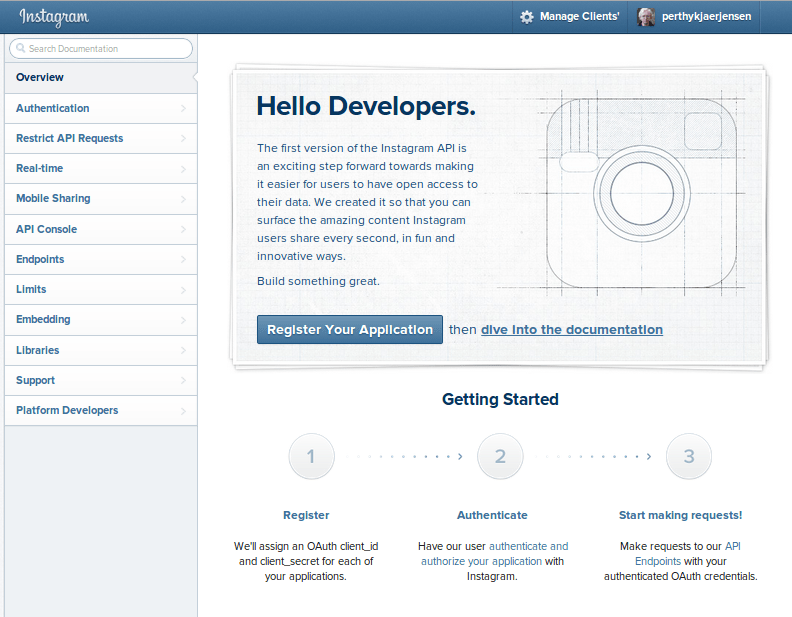 Instagram’s API is just one among many APIs. If you try to click on providers you’ll see a long list all the API, that you can use via Apigee. But there are more APIs out there. Most of them will work in a manner similar to what you’ve seen here. Look at Apigee’s explanation here. First get the data via jsonp. You can use jQuery in order to loop through and append data to tag ids. See my samples on Github.